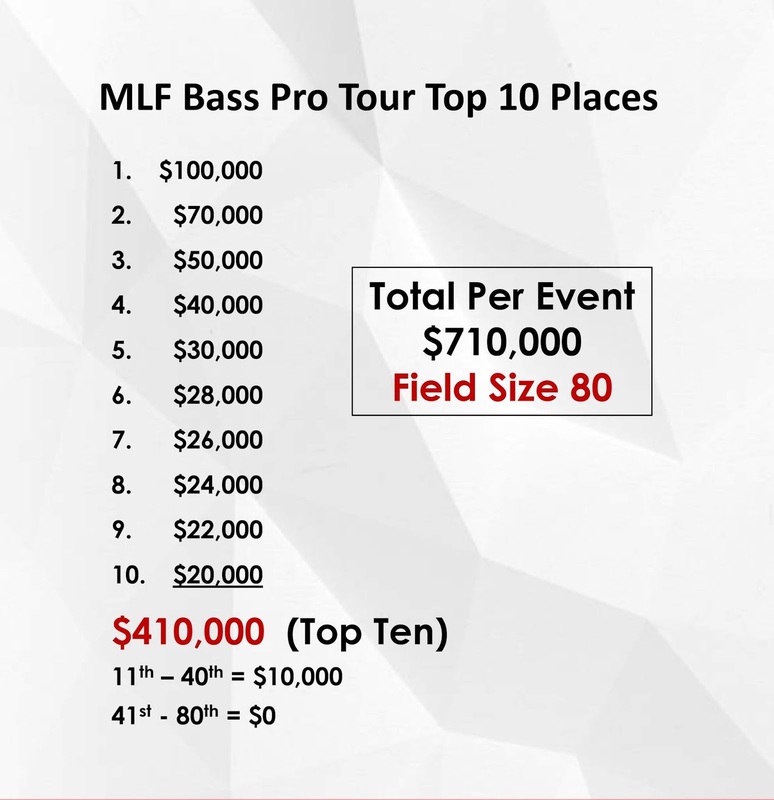 After the initial announcement of the Major League Fishing (MLF) Bass Pro Tour last week, league officials today announced additional details of the tour, including industry-leading media exposure with more than 850 hours of television coverage and 350 hours of live streaming, angler leadership in the series, and payouts of nearly $10 million that have never before been seen in the professional bass fishing industry. 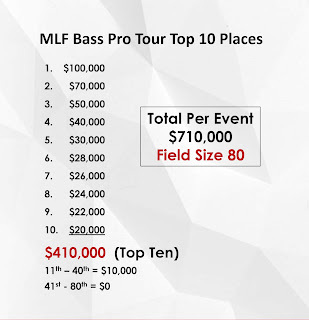 The expanded MLF program welcomes a premier 80-angler group which will be announced in October. 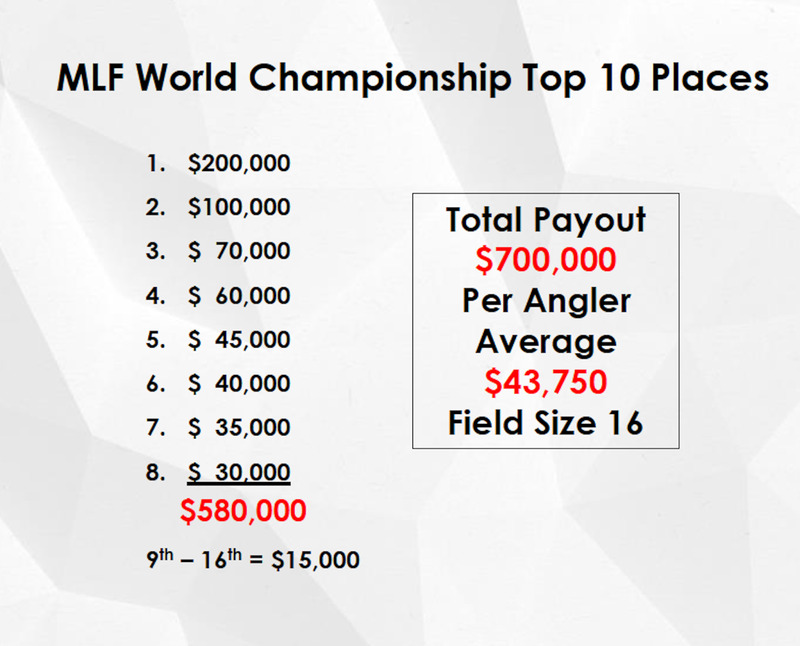 These anglers will, for the first time in their careers, have a seat at the table in all league decisions, including payouts, entry fees, event format, schedule and locations. Although the full schedule has not yet been announced, anglers and fans alike will be pleased to see a schedule that does not require anglers to travel or fish on major holidays such as Mother's Day and Memorial Day, a welcome change to the schedule anglers have become accustomed to in fishing other leagues. 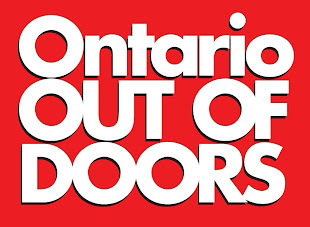 "Never in the history of our sport have anglers had this much control over their own destiny, from the bathroom to the boardroom and everywhere in between," said MLF and Pro Bass Tour Anglers' Association (PBTAA) co-founder Boyd Duckett. "These 80 anglers will have the opportunity to set a precedent for our sport for generations to come - a precedent that will likely include lower or no entry fees, higher payouts and better conditions for anglers in every regard." 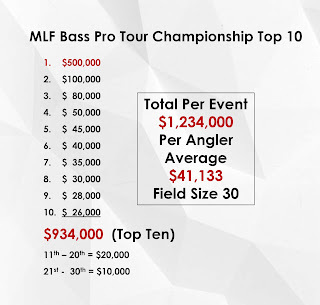 The new Bass Pro Tour eight-event series and Bass Pro Tour Championship also offer heightened payouts, made possible through enthusiastic support from Bass Pro Shops and Outdoor Sportsman Group (OSG). 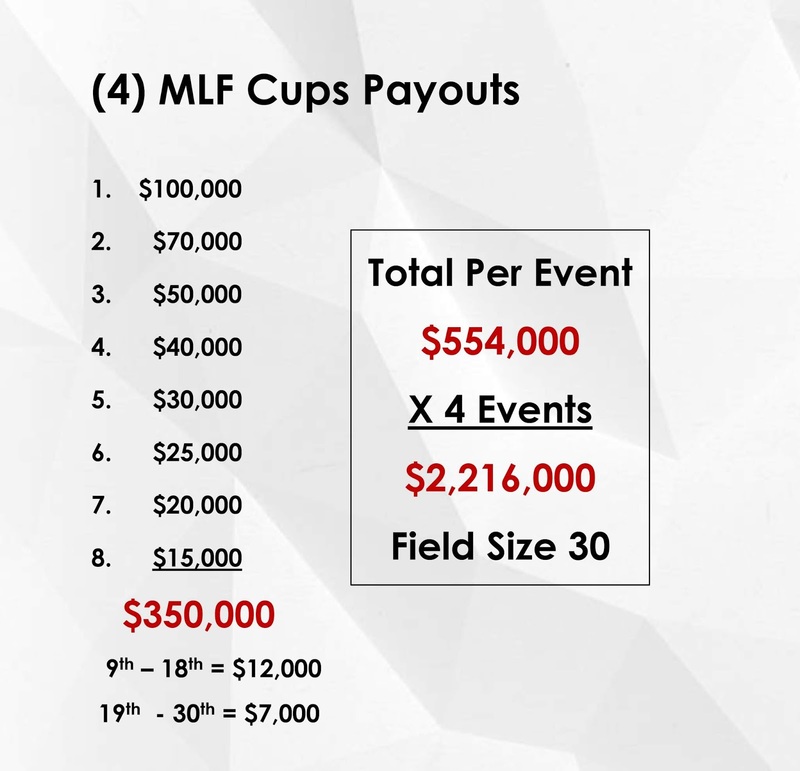 Regular tour events will pay out more than $700,000 per event, with the championship purse exceeding $1.2 million. 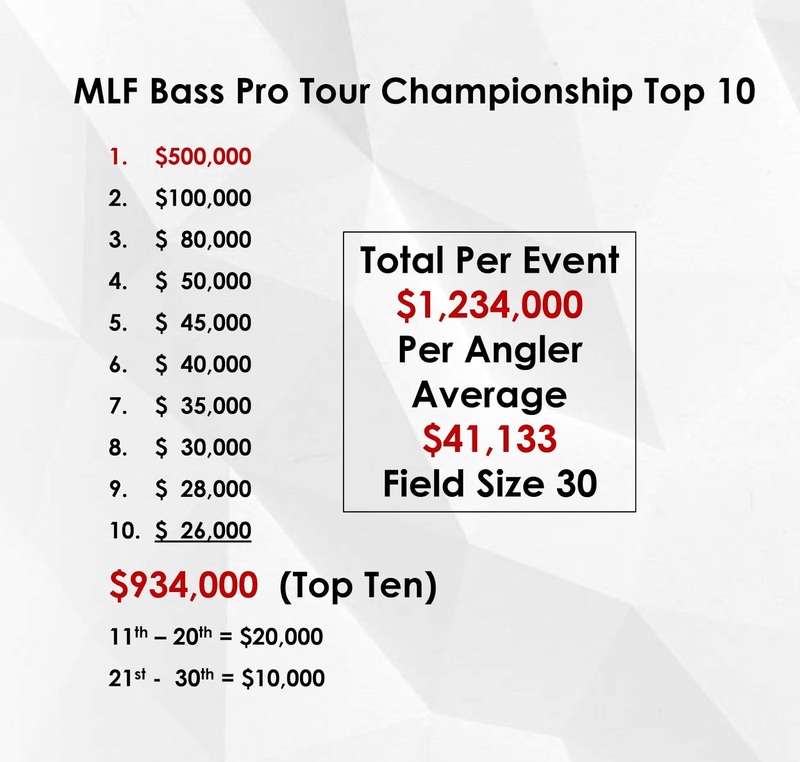 Success in tour events also qualifies anglers to high-paying Cup events, which ultimately gives anglers the chance to compete in the General Tire World Championship with CBS airtime. 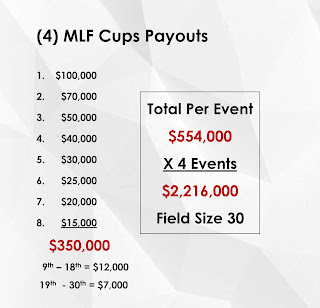 The four Cup events will pay a total of more than $2.2 million and the World Championship will pay more than $700,000 among only 16 participants. 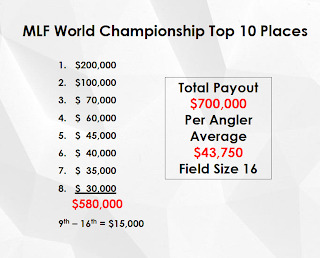 "Our league and sponsor partners have made a significant investment to make sure that the decision to fish with Major League Fishing in 2019 was an easy one for anglers," Jim Wilburn, president and CEO of MLF, said. 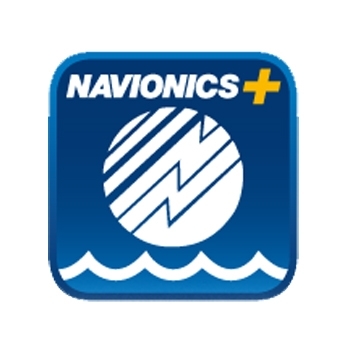 "With these payout amounts combined with our more than 850 hours of television programming across six networks and support for anglers at every level of the business, we believe our angler-centric business model is one that will resonate with anglers and sponsors." "Nothing can match the amount of media coverage and exposure these 80 anglers will enjoy in the coming years across multiple networks," Wilburn said. "We expect massive growth across the entire industry as a result of these positive changes for all anglers, sponsors and fans."